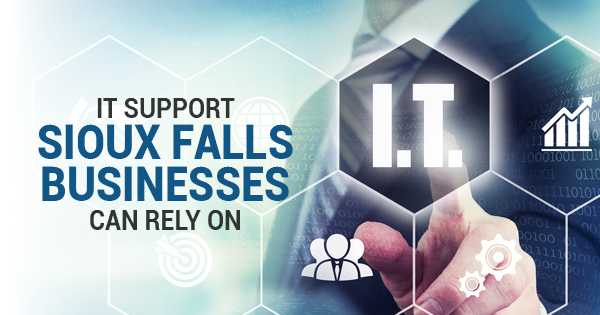 When it comes to IT outsourcing Sioux Falls businesses deserve more than a technical handyman. That's why A&B Business Solutions offers only the most successful IT solutions Sioux Falls businesses can rely on. A&B Business Solutions is more than an IT consultant Sioux Falls businesses can outsource. The IT consultants that bring the most value to your business are the ones that have years of experience. For more than 40 years, A&B Business Solutions' team of experienced professionals has provided Sioux Falls with the technology and skill your business needs to succeed. You don't need to be limited to selecting an IT consultant with limited expertise and limited focus. A&B Business Solutions covers a wide range of devices to help thousands of clients no matter the size of the business. What Can A&B Business Solutions Offer My Company? As a business, you need to prioritize what you're looking for from a IT consulting service to find the IT company that works best for you. At A&B Business Solutions, we offer IT consulting and management services to provide you with everything you need from the start. Outsourcing IT consulting services can help you save on the cost of hiring an in-house technician. Whether you need assistance with a project, consulting help to augment your IT staff, or help with the acquisition and installation of new technology in your company, A&B Business Solutions can help. To learn more about how our IT consulting services can help your Sioux Falls business, contact A&B Business Solutions today. We'll be happy to hear from you.